The MOLLE patrol pack has a volume of approximately 1,200 cubic inches including the outside pocket. 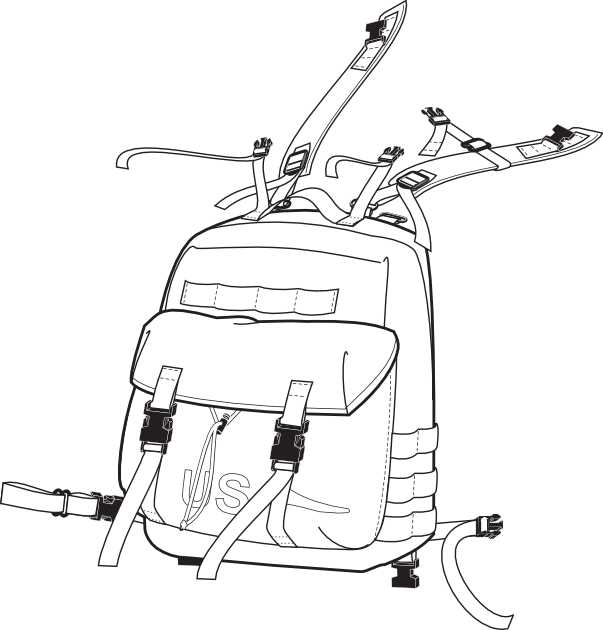 The patrol pack attaches to the pack frame on top of the main pack or is donned and doffed over the LBV. There are black metal loops at the top of the back panel of the patrol pack. These loops are attachment points for the shoulder straps. The two outer loops are to provide better compatibility with bulky armor or clothing, and the inside loops are used for narrower chest and neck circumferences.